Construction claims are getting complex based on the nature and the complexity of the construction projects. Clients, contractors and subcontractors of this environment try to reach their own goals and expectations in order to increase their benefits. Conflicts may arise as a result of this diversified goals and expectations of parties. If the conflicts are not managed successfully, disputes which effect the successfull completion of the construction project may arise. Therefore claim management is an unavoidable process in construction project management which requires effective management practices during the entire life cycle of a project. In this article we will take a glance at construction claims and claim management in construction projects. In construction industry, the objective of the contractor is to perform the work required by the client properly and timely and the objective of the client is to pay a reasonable price for all the work performed including any changes. However during the performance of work, unresolved and disputed changes may occur. A construction claim is the assertion of a right demanding either additional time or/and payment due to the result of an action. It is possible to meet construction claims in all construction projects. Construction claims are originated by several reasons such as inadequate project planning, changes in scope, change orders, errors and omissions, contract expediting or slowdown. Construction claims may arise from various sources of disagreement between the contractor and the client. Below are the most common types of construction claims. Delay Claims : When the project takes longer than as it is stated in the contract, the client files a claim and against to the contractor for the loss arising from late completion. Acceleration Claims : In order to catch up the workschedule and complete the project on time, contractor accelerates the works by spending more money. Disputes arise for the acceleration cost between the parties because the contractor files a claim against to the client for extra payment. And the client doesn’t want to bear the costs for acceleration. Both parties accuse each other for delays. Change Order and Extra Work Claims : During the project execution phase, client may request extra work be done, without making the written request. Disputes arise form the discussion whether the requested change falls within the scope of work or not. In some cases disputes arise related with the unit price of the extra work. Differing Site Conditions Claims : When the actual site condition is different from the conditions written in the contract, contractor files a claim. For instance, kind of soil specified in the contract is clay in a highway project. However the contractor starts to investigate ground conditions and reports that the ground is rocky soil. Then the contractor files a claim to increase the unit price of excavation. Damage Claims : During a construction activity, contractor may damage a property owned by the client. In that case the client files a claim to retrieve a loss. The claim prevention process is activated at Pre-tender and Contract Formulation phases of a project. Contract documents project plans and scope of work should include all requirements related with the project because after the award of contract the opportunity to prevent claim comes to an end. Construction activities are generally performed in highly sensitive and outdoor environments. It is better to minimize the possibilities of occuring claim all through the progression of the contract. A well defined scope, responsibilities and risks will help to decrease the possibility of occurance of claims. Also risk management plans play important roles in the phase of claim mitigation. Claim identification can be done by analyzing both the scope of work and the provisions of the contract. Inputs of the claim identification process are the scope of work, contract terms, definiton of extra work and definiton of extra time requested. Once an activity is identified as a claim, it will be quantified in terms of additional payment or a time extension to the contract completion or other milestone date. In this phase, schedule and critical path analysis should be made in order to calculate the delay of the project. In addition to that, additional direct and indirect costs originated from the claimed activity should be calculated. Claim resolution is a step by step process to resolve the claim issues. Depending on the resolution terms of the contract, negotiation, mediation, arbitration and litigation processes will be conducted. 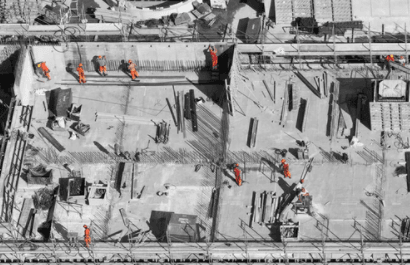 Construction claims have high cost and time impacts on the projects therefore, the contractors and the clients should establish a powerful claim management system in their organizations. It is critical to be aware of the causes of conflicts in order to complete the construction project in the desired time, budget and quality. The first thing is to avoid claims through managing the root causes. Therefore contents of tender documents and contract documents should be analyzed carefully. During the execution phase, establishing good communication channels between the parties is always a considerate approach because communicating the issues provides effective and cheaper solution.